Israel attorney proposes law allowing get-refusers' photos, personal details, to be published online. Attorney Odelia Hen is advancing a new law allowing get-refusers names, photographs, and personal details to be publicized online. The new law was proposed by MK Revital Swid (Zionist Union). A get-refuser ("get" is the Hebrew word for "divorce papers") is defined as either a man who refuses to grant a get or a woman who refuses to accept one within a month of the issuance of a ruling that a get should be given. The new proposal involves publicizing get refusers' names and photos, in order to shame them into granting their spouse a divorce. 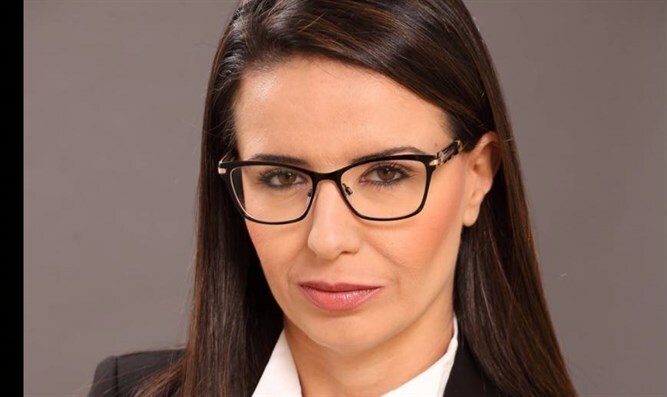 In an interview with Arutz Sheva, Hen said, "Those who refuse to grant a divorce and thereby take away their spouse's freedom should know that their photograph and personal details will appear on an international website as if they were criminals. This is one more sanction to deter the inappropriate trend of refusing to grant a divorce." When asked for the source for the initiative, Hen said, "This is my initiative, born of the many years I have worked in family law. Social media has tremendous power today, and we must use its power to reduce, eradicate, and deter improper trends such as refusing a divorce." "Israel's Chief Ashkenazic Rabbi David Lau supports my proposal, and I assume most of the Knesset does as well. I am sure that it will meet only support and no resistance, because this is an issue which we must eradicate completely. For many years, we have been searching for a solution which would help deter people from refusing a divorce. Every effort at deterrence is worthwhile." Hen also said that her proposal would affect both genders equally, and will significantly aid efforts to minimize the number of get refusals. "A person who knows his or her name and personal details will be publicized throughout the world as if he were a common thief will become like Cain, wandering with a mark on his forehead," she concluded. In February, the Rabbinical Court published statistics regarding divorce cases over the past five years. Of 809 cases in which a get was not granted within one month, 382 involved a recalcitrant husband, while the other 427 – nearly 12% more – involved women who refused to accept a get. In 2007, 20% of unresolved divorce cases involved women who refused their spouse a divorce. This flies in the face of the conventional perception that unresolved divorces are invariably the result of men holding their estranged wives "hostage" until their unreasonable demands are met. Between the years 2012 and 2015, 249 women refused a get, while 205 men did. The year 2016 saw a surprising jump in the number of unresolved divorces, caused equally by men and women: 143 by men, 142 by women. As of February, the statistics for 2017 included 36 women and 34 men refusing their estranged spouses' conditions. During this five-year period, 69 men were imprisoned for refusing to give a get; no women were imprisoned for refusing to accept one. In November 2016, a new policy directive issued by Israel’s State Prosecutor Shai Nitzan stated that a Jewish man in Israel who refuses to grant his wife a religious divorce after being ordered to do so by a rabbinical court could face criminal charges and be jailed, a restatement of the law mandating sanctions for get refusers passed by the National Religious Party, now the Jewish Home Party. in 1995.